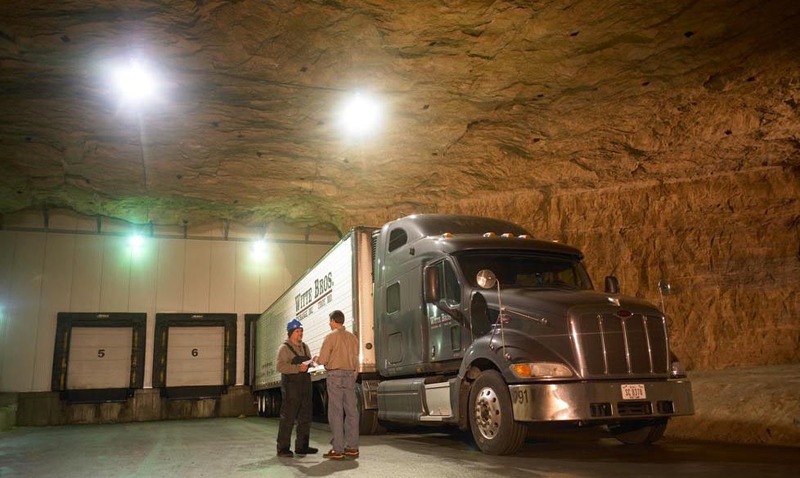 With a static temperature of 58 degrees all year long, life in an underground mine is cool. Yet The Rock City Admiral Parkway Development almost didn’t become a reality. Owner Joe Koppeis had a geo-technical firm assess the viability of re-purposing this old mine prior to working with PENTA Engineering Corp. 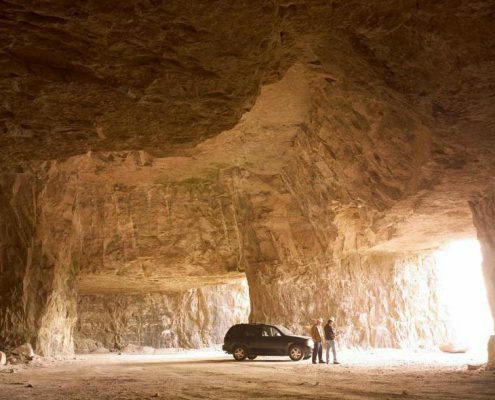 The geo-technical firm suggested the facility would require bolts every 2 ft. for the rock roof to be considered stable, and this requirement would have blown the cost of the project sky high. Joe contacted PENTA to give him a second opinion, and we confirmed the geo-technical firm had miscalculated. 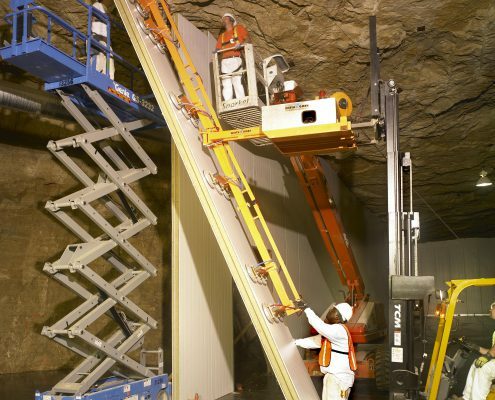 PENTA’s top-notch mine engineers found the structure only needed bolts every 8 ft. to be safe for the facilities Joe had in mind. 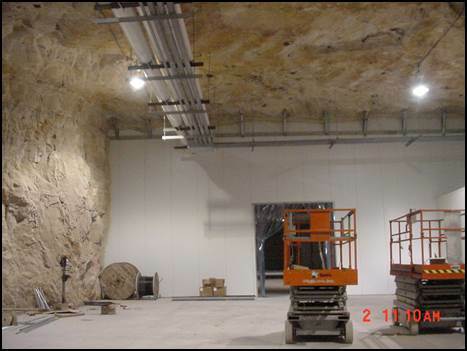 PENTA’s evaluation reduced the cost of the project by millions of dollars, and helped get the project off the ground. 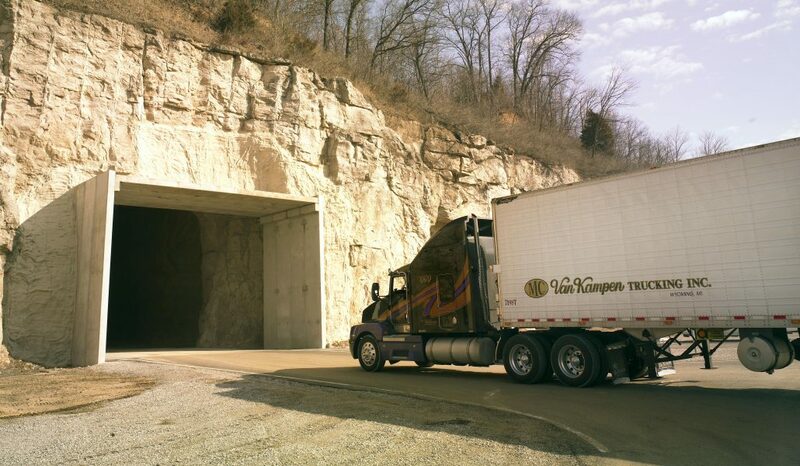 Who would have thought an old underground mine could be revitalized and given a second life? The Rock City Admiral Parkway Development was definitely not the standard mining job for PENTA. PENTA is a unique company due to the extensive experience our engineering team brings to the table. 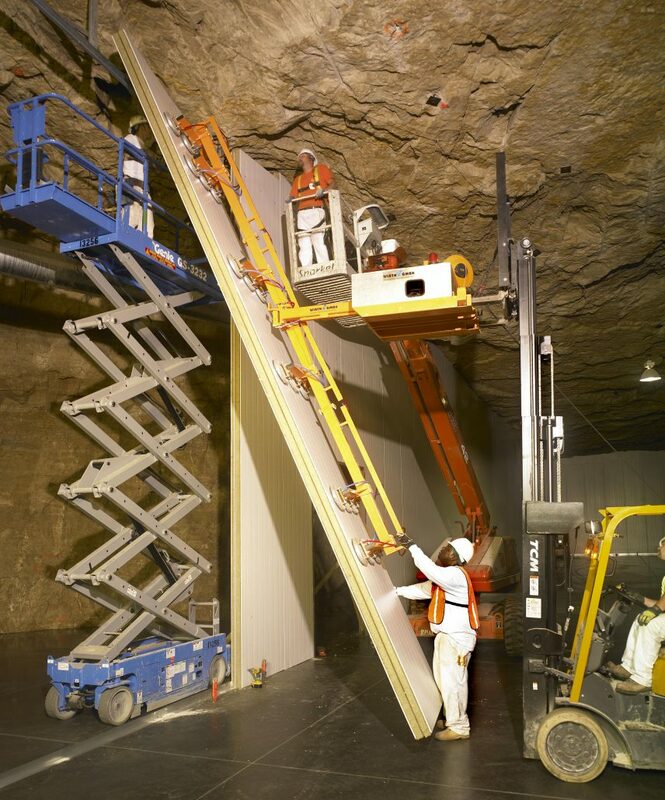 Using our in-house geologist and mine engineers, each with over 30 years of experience working in the mining industry, PENTA was able to formulate a plan to prepare the site for potential businesses. 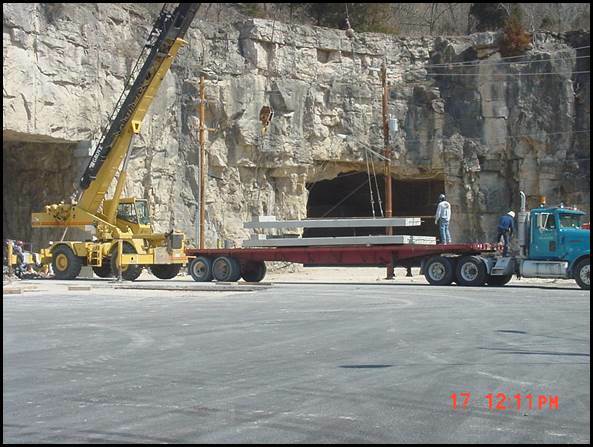 Our plan included stabilizing the roof and bringing roads, water, sewer, and power to the mine. 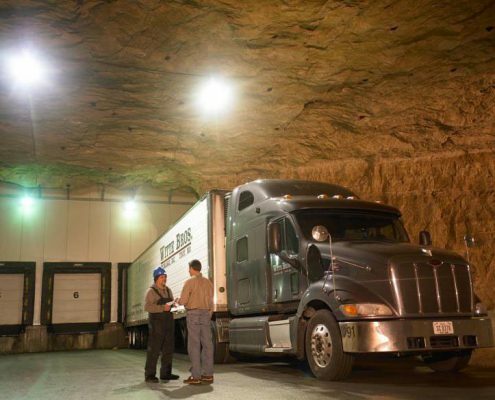 Rock City’s underground facilities boast a constant temperature of 58 degrees all year long, but can easily be cooled to as low as -15 degrees. Companies shave 40% from their heating and cooling costs since the facility has a static temperature. 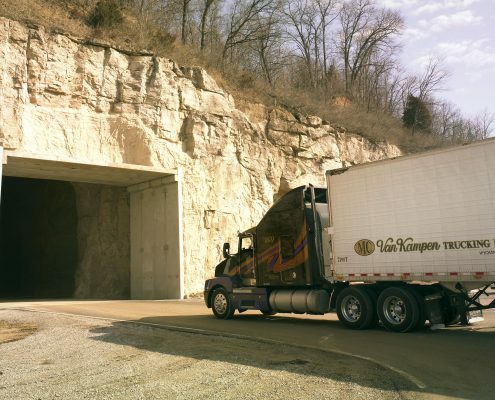 With more than six million square feet of space, Rock City not only houses a National Archive facility for the Federal Government, but also serves as a cold storage warehouse for many frozen food companies. 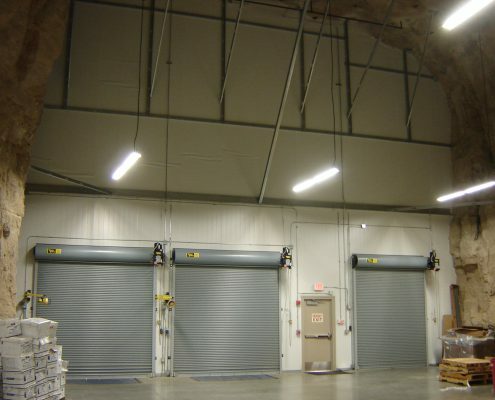 The ceiling height ranges from 25′ to 40′, which makes it easy for large trucks to load and unload products. 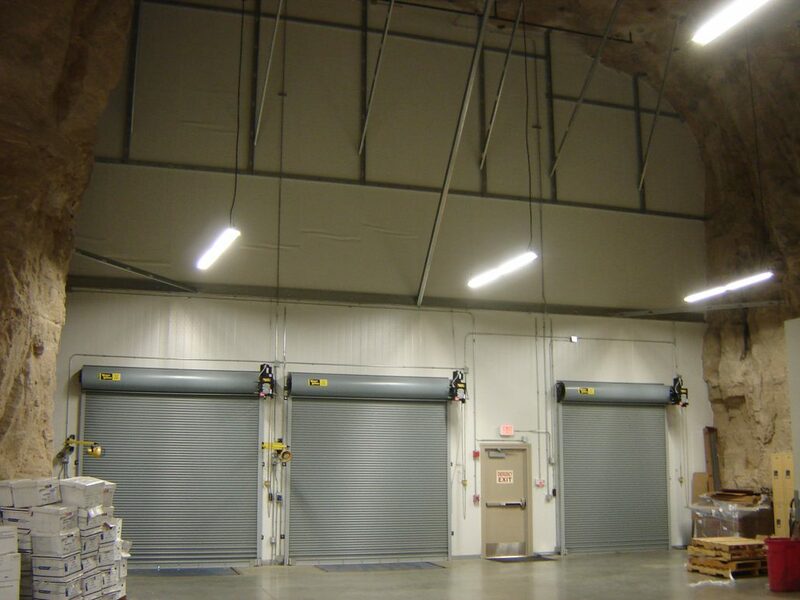 Solid stone pillars act as the support for the stone ceiling and are spaced about 50-60 feet apart. 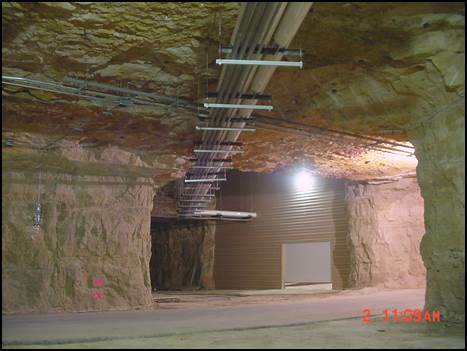 This bustling underground mine has the added advantage of providing natural protection from tornadoes, earthquakes, floods, ice, snow, or electrical sabotage. 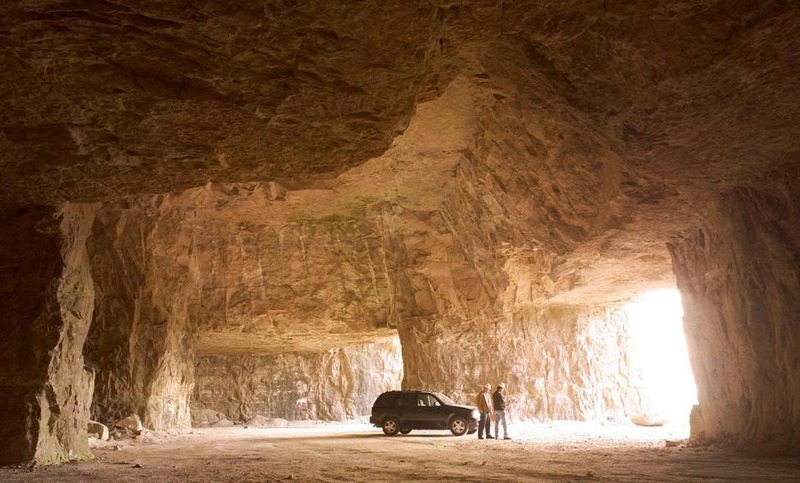 Need more proof life is cooler underground? For more information about how PENTA’s engineering design services can help you think outside the box, please go to http://www.penta.net/engineering-design/.